Total length of Roads at a stupendous 2,11,770 km. West Bengal boasts Across-the-Spectrum Natural Diversity: With hills and the Dooars in the North, the laterite landscape and the Gangetic Delta in the Central Region, and the seas in the South, West Bengal has a near representation of the entire world. West Bengal is a veritable cultural and demographic mosaic. From the Gurkha and Lepcha tribals in the North to the ancient tribals, like the Santhals, the Oraons and the Mundas in the West, West Bengal is a demographic paradise. It has the prized inheritance of various folk traditions. It boasts the Bauls in Birbhum, the Fakirs in Nadia and ancient Chhou traditions in Purulia. It prides itself on some magnificent Islamic architecture in Gour, Malda and terra cotta masterpieces in districts of Bardhaman and Bankura. West Bengal has the widest variety of attractions in terms of tourist spots from the bustling Kolkata megapolis with its historical and modern charms, to the zones of tranquility like the Himalayan terrain in the north to the Sunderbans in the south. 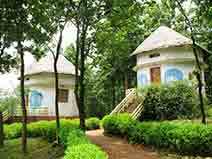 The state is endowed with all the diversities of nature that is a tourist’s dream. 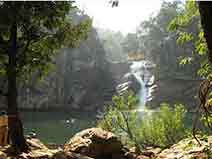 From the arid Chhotanagpur plateau region in the west, forests in the north and south, mountains in the north, sea beaches in the south and rivers crisscrossing the whole of the state the varied panorama offers the discerning traveler a very wide choice and caters to the requirements of varied travel segments. More specifically, the snow capped peaks of the Himalayas, Darjeeling, referred by many as the Queen of the Hill Stations, the Darjeeling Himalayan Railway declared as a World Heritage Site, the vast tea estates of the Dooars, the famed Royal Bengal Tiger of Sunderbans, the innumerable historical landmarks of India’s and Bengal’s glorious history are all wonders for the prospective tourists. he Government of West Bengal has realized the huge potential of tourism industry in this part and hence has formulated an appropriate policy framework to attract more tourists as well as investors in this industry. In the year 2004, 0.76 million foreign tourists and 12.38 million domestic tourists visited the state.The Government of West Bengal has allocated Rs. 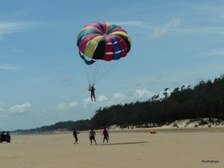 25 million in their state budget this year to boost tourism in the state. Put your experience of getting mesmerized under challenge by discovering sheer artistry of nature spread to every corner of the horizon. The lush green gardens at your feet and snow-covered White Mountains at a distance seem like a wonderful experiment of god with colors. 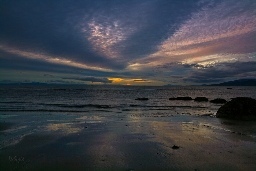 It is the rendezvous of earth and heaven; it is the treasure that you would keep in your heart forever. Hidden under the shadows of Eastern Himalayas, the hill stations of West Bengal are the main footprint of tourism in the state. Darjeeling, without a doubt is the most important and most visited hill station. This unique destination is famous world over for its unparallel beauty. Darjeeling and the other hill stations of West Bengal offer a magnificently rejuvenating respite from the exhausting heat that adorns the majority of the state during the summer months. Sundarban Biosphere Reserve was constituted by Government of India (GOI) in 1989 and it received the recognition of UNESCO under its Man and Biosphere (MAB) Programme in November, 2001. Sundarban National Park, forming the core area of Sundarban Tiger Reserve, received recognition as World Heritage Site by UNESCO in 1987. It has been nominated by GOI for recognition as Ramsar Site (a wetland of international importance). Sundarban Tiger Reserve was constituted by GOI under Project Tiger scheme, in 1973. 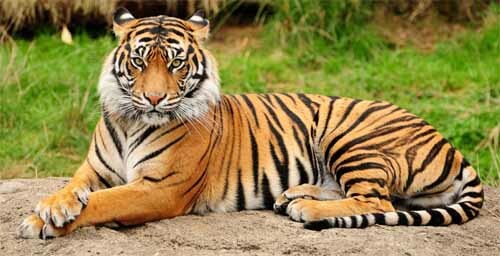 Sundarban is the only mangrove forest in the world which is the home of Tigers. Sundarban Tiger Reserve has the highest tiger population in the world. 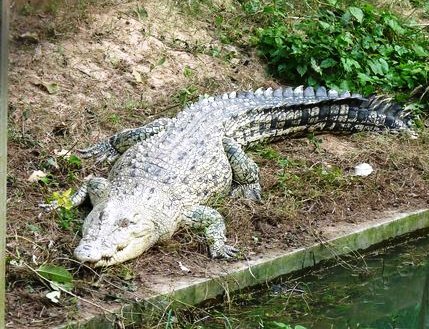 Sundarban has extremely rich diversity of aquatic and terrestrial flora and fauna. Sundarban's highly productive ecosystem acts as a natural fish nursery. Sundarban Mangrove reduces the fury of cyclonic storm and prevents erosion due to tidal action. Finally, millions of people depend on Sundarban Ecosystem for their livelihood and sustenance through fishing, collection of honey and fuel wood/timber. The tiger estimation has traditionally been done in Sundarban by “Pug Mark Method” in which the fresh left hind pug mark impression is collected from the field and analyzed. The Pugmark method was field friendly but due to some of the drawbacks, Project Tiger developed a new methodology for the “Monitoring of Tigers, Co-predators, Prey and Habitat”. The Monitoring of Tiger, Co-predators, Prey and Habitat Exercise in Sundarban was conducted from 5th January 2006 to 10th January 2006, as a part of All India estimation of Tiger, Co-predators, Prey and Habitat exercise. Sundarban is among the five Natural World Heritage Sites In India namely, Kaziranga National Park, Manas National Park, Keoladeo Wildlife Sanctuary, Sundarban National Park and Nandadevi National Park. 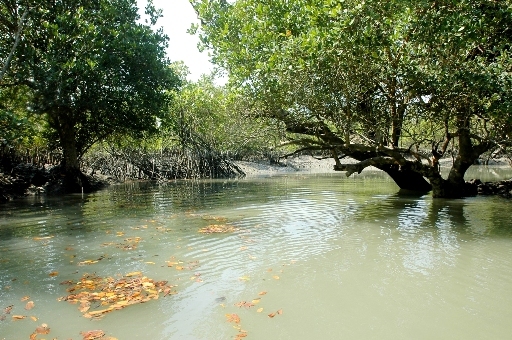 * Restoration of the unique mangrove ecosystem of Sundarban and conservation of its biodiversity. * Development of sustainable economic, social activities of the population living in the Biosphere Reserve. * Facilitating research, monitoring, education and training to perpetuate the achievements made. The people of this area are unique in their occupation and lifestyle, faiths, rituals and beliefs – farmers, fishermen, wood collectors, honey collectors and poachers. Sundarban represents a society that is primarily agricultural. The people live in villages adjoining forests which is the home of Tigers. For survival, these people have to fight with nature day in and day out. The hardships of daily existence have given rise to fraternal feelings and non-communal traditions. 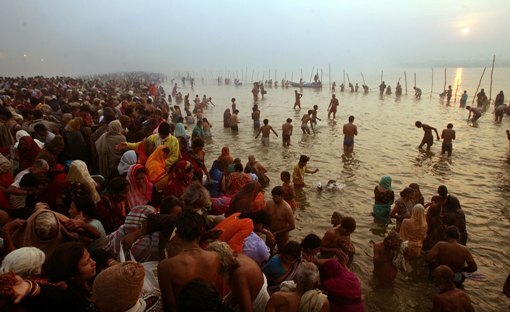 Members of both Hindu and Muslim communities worship the same Gods and Goddesses. The two most famous among them are Dakshin Ray and Banabibi. Dakshin Ray is worshiped as the God of Tiger and all those who enter the forests for subsistence, worship Dakshin Ray irrespective of their caste, creed and religion. Banabibi, on the other hand, is considered as the protector of the inhabitants of the forests. She is popular both amongst Hindus and Muslims. Breathtaking Beaches promise the perfect escape to tranquility. The coastal strip of West Bengal, extending from the Gangetic delta land to the border of Orissa, presents some beautiful options in sea resorts - Digha, Shankarpur, Mandarmoni, Bakkhali, Gangasagar, Tajpur,etc. All of these offer wide, flat, hard beaches, a gently rolling sea, rows of casuarina forests and a pleasant, warm weather round the year. 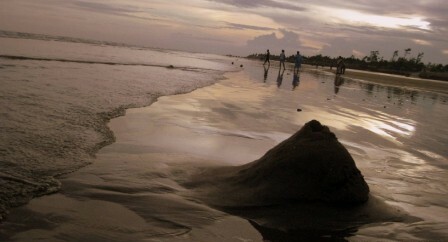 The natural beauty of the State, its snow-clad mountains, lush green forest, the rolling Tea gardens, ripe agricultural fields in North Bengal, the red lateritic tracts and the pure sal forests in the South West Bengal, and the world's largest mangrove delta in Sundarban make the State potential paradise for Eco-tourism. Eco-tourism is "tourism that involves travelling to relatively undisturbed natural areas with the specified objectives of studying, admiring and enjoying the sceneries and its wild plants and animals, as well as in existing cultural aspects found in these areas" (WTO). 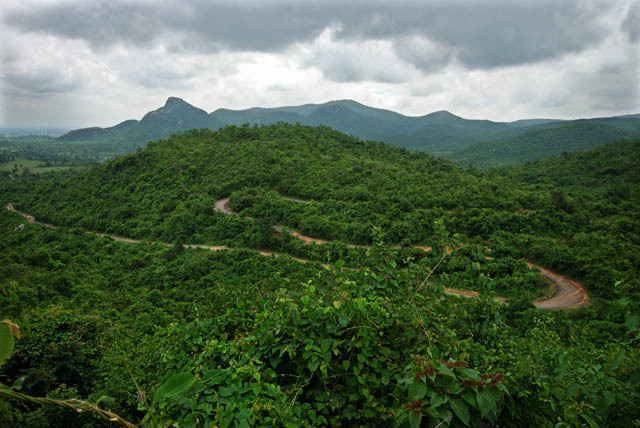 Thus eco-tourism differs from Resort tourism or mass tourism by requiring lesser infrastructure development and lower impact on the environment. 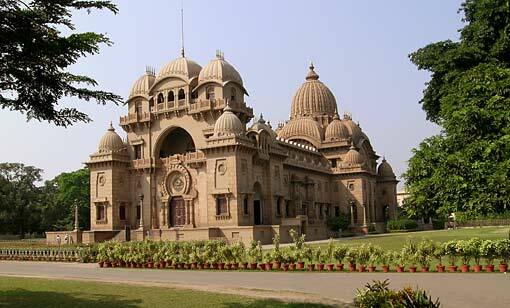 The State of West Bengal has a lot to offer to the tourists. Whether they are the chaste ripples in the waves of the Holy Ganga that bring in an effect of serenity or the high-rise monuments that one would see on the Dalhousie Street or the sculpture’s delight – the Victoria Memorial, Hazarduari, Shaheed Minar, or the Terracotta temples, they all speak highly of the rich cultural heritage of the State of West Bengal.